How Should Motorcycle Clothing Fit? ‘Which size should I go for?’ is a question that we get asked a lot and understandably so. It’s a minefield. Everyone is a different size and shape. Factor in that each manufacturer has their own take on how a motorcycle clothing should fit and we’re already adrift. You may hit the jackpot in a particular size with one brand only to find that you’re miles out with another. Over the past few years, we’ve spent countless hours fine-tuning the fit of the motorcycle clothing we product and in doing so, we’d like to think that we have a good understanding of how it should fit. We wanted to share what we’ve learnt. Yes, there are guides out there but to us, most seem to be an afterthought. The ones we’ve come across follow a sizing system that has its roots in formal clothing. Herein lies the problem. Suits generally follow the same silhouette and most of the time, are worn with a shirt. The weight of the fabrics used in formal clothing only ever changes slightly and so, with a couple of body dimensions, it’s not hard to work out which size to go for. Motorcycle Clothing is the opposite. It’s worn throughout the year in different climates the world over. Sometimes with a t-shirt, at others with layer upon layer to keep out the cold. Whether the item is textile or leather they should all have protective armour, some don’t. There are so many variables to consider that when it comes to motorcycle clothing, applying a universal sizing chart designed for formal clothing doesn't really work. When searching for a jacket or overshirt to work from, consider your sub-layers. We’d recommend that you dress as if you were heading out in conditions a touch colder than average. There may be a handful of icy days that an extra layer or two may make your jacket a little tight but, if it’s that cold, hopefully you won’t be riding for too long - it’s better to have a jacket suited to the bulk of the time you spend on two wheels. If you’re not one for heading out when the weather turns, be honest with yourself. You’ll be the one riding in an oversized jacket that flaps when you get up to speed. Once you’ve found a jacket to base your decision on, you’ll need to find yourself a flat surface to work from. The first measurement that you’ll need to take is the chest. Having laid the jacket flat, run the tape across the front roughly one inch below the armholes. When measuring, always make sure that the jacket isn’t creased to give yourself an accurate reading. The second measurement to take is the body length. For this, you’re searching for something called the ‘Side Neck Point’. As you might expect, this is the highest point at the side of the collar. Don’t be caught out by where the shoulder seam sits, this is sometimes moved depending on the style. 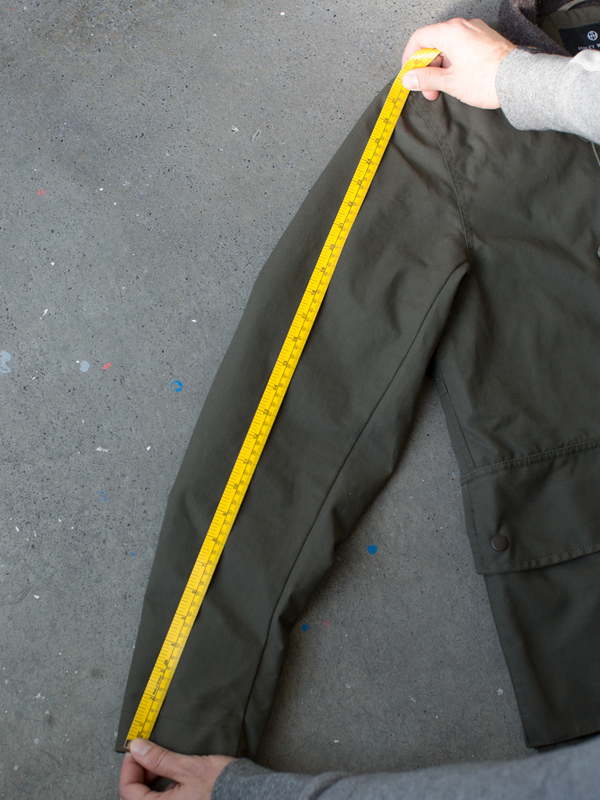 Run your measure from the top edge of the fabric straight down to the hem. The last measurement is the sleeve. Again, make sure there aren’t any creases and then run the tape from the shoulder seam to the cuff. 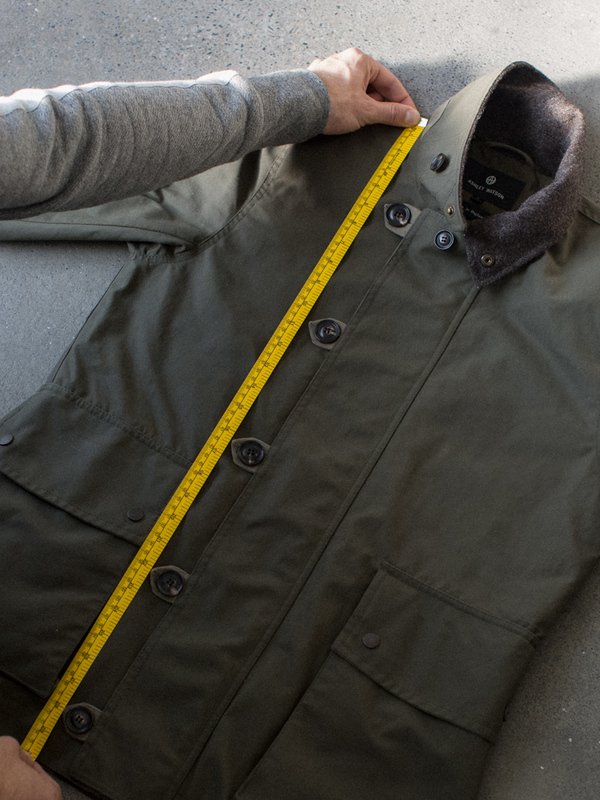 Once you have these dimensions, share them with the maker of your jacket and they should be able to recommend the correct size for you. Anyone selling a motorcycle clothing should always be happy to exchange for a different size if needed. The worst case is that you may have to wait a week or so for it to be swapped. Best if you can avoid it though, you can be sure that while you’re waiting for the postman, the weather will be perfect for a trip. If you have any questions or need some advice, please get in touch. To see our collection of specialist motorcycle clothing, please follow the link below.